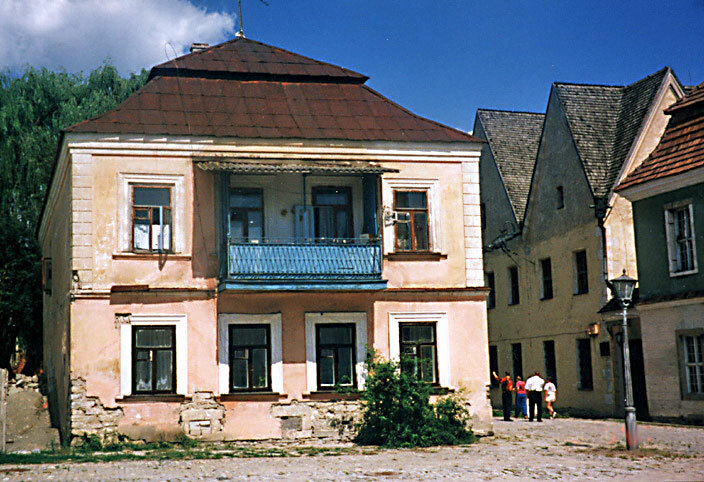 The entire old city is now an architectural preserve. Only some 5000 people live in its remaining buildings. Due to lack of funds for restoration much of the city remains open space where the buildings ruined during World War II were located. Restoration must return the buildings to their medieval look, This is one of the few that have been almost restored around the open city square.